This is what your quilt sheet will look like when you paste the code to your homepage after you sign up to join. 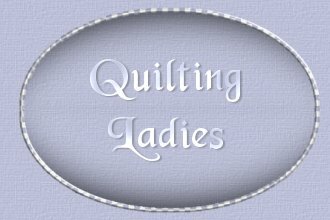 Other Quilt Theme Headers will be used to make up the various Quilts Quilting Ladies will be making. You can go and pick these up at the "Quilt Theme Headers" button on our index page after you have your sheet in place on your homepage.